Platinum range is made out of high purity aluminium and advance LED technology. 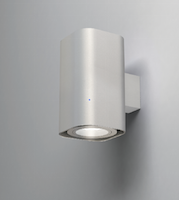 Platinum offers a wide range of possibilities and now has its own surface mount, suspended and wall light versions. Use Platinum when it is not feasible to recess in the ceiling as it is the most paired down, subtle option. Combine it with the other options to standardise aesthetic criteria and at the same time give the space balance and a sophisticated touch.